There’s so much to think about when creating a website for your business, it can be difficult to know where to start. 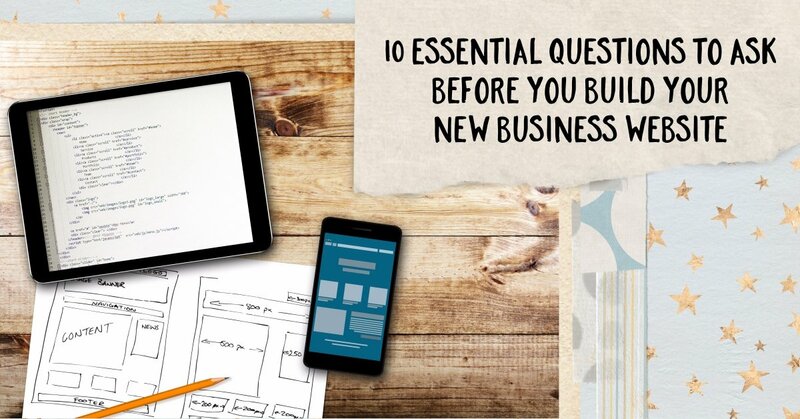 As a small business owner myself, and a former website designer, I’m well equipped to unravel the mystery and take you through the 10 essential questions you need to consider BEFORE you start work on your new website. 1. Why do you want a website for your small business? This isn’t a trick question, and the answer isn’t ‘because everyone says I need one’. Before you commit time, money and effort to this project you need to be clear on how this website will benefit you and your customers. What will it enable you to do? Communicate opening days and times? Display your products? Take bookings online? Take payments online? Take reservations? Showcase customer reviews? 2. What functions do you need your website to have? ♦ Would you like to be able to update the website yourself? ♦ Links to your social media accounts. 3. What do you want it to look like? Knowing what you do and don’t like will be a huuuuuuge help to whoever you get to build your website. Hunt around for websites in your industry and create a list of faves and failures. Pay attention to the graphics, colours, fonts and writing style to get a feel for how you want your business to be represented online. 4. What do you want to call it? There’s two parts you need to decide. The name part (like ‘worditude’) and the TLD (top level domain) which is how the website address ends. Not so long ago we could only choose between a few options like ‘.com’, ‘.co.uk’ and ‘org’. Now there are dozens of options. Although these can look funky, keep in mind that the general population still think of website addresses as ending in ‘.co.uk’ or ‘.com’ so you might want to keep it simple. Above all you want the domain name to be clear to communicate and easy to remember - so not a jumble of dots, hyphens and underscores. Google ‘domain name checker’ and use any of the free checking tools that come up to begin your name search. 5. What pages do you need? The answers to the first three questions will help with this. Grab yourself a stack of sticky notes (my favorite way to plan anything) and decide what pages your website will need, and what will go on each of them. As a starter you’ll likely need a page about you/your business, a page showcasing your products/services, a contact page, and some sort of home or ‘start here’ page. 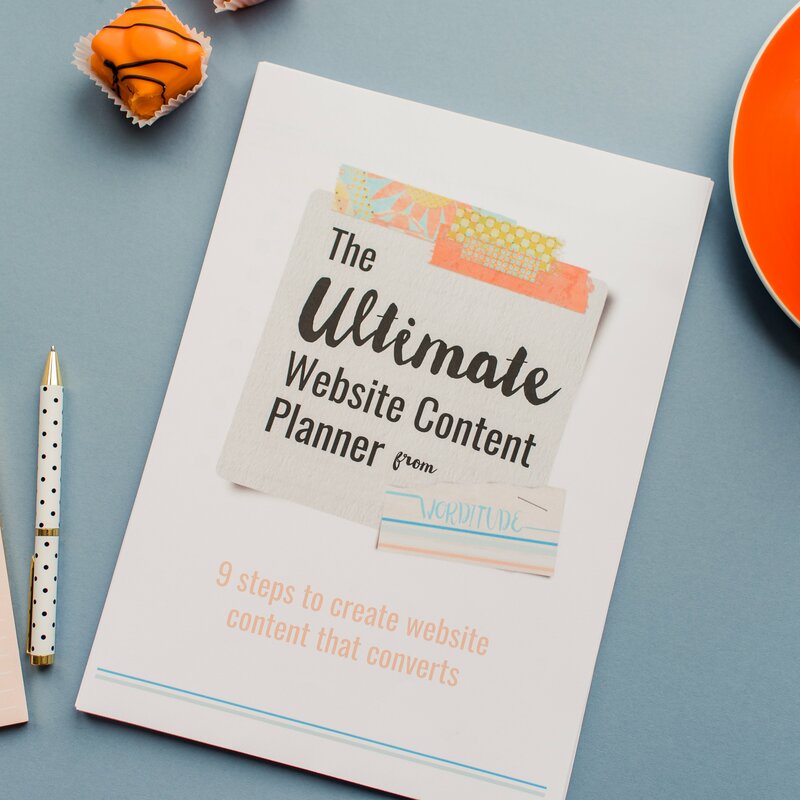 For more help planning your website content you could invest in my purpose-made Ultimate Website Content Planner (link takes you to my Etsy store). 6. Who's writing the words? You either need to find a copywriter with experience writing for websites (because it’s very different to writing for printed publications) or you can write the content yourself. If you decide to hire a copywriter, and you don’t have someone in mind already, ask your web designer (yep, we still haven’t got to them on this list yet, but we will). 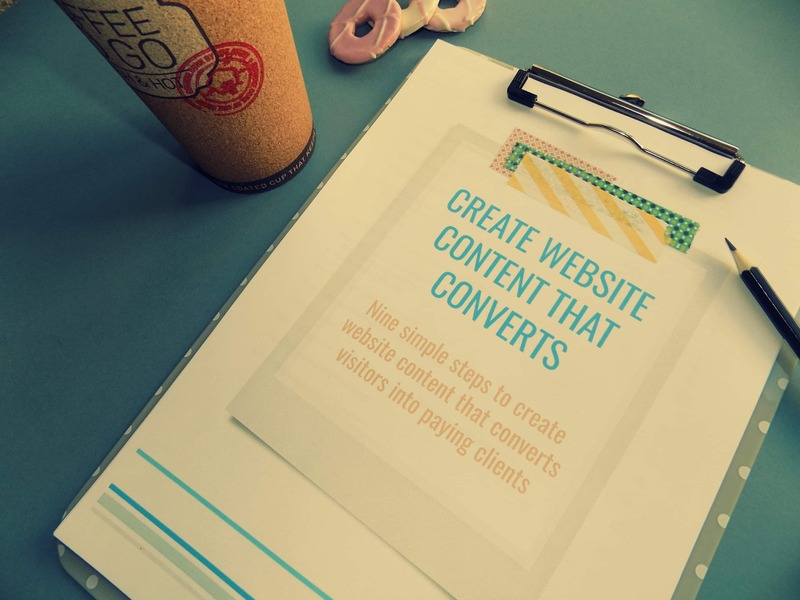 Or if you want to save £$£$ and have maximum control over the words on your website, you can write the content yourself. Is now a good time to mention the Ultimate Website Planner again? It has step-by-step instructions and templates for all your key webpages (you’re welcome). 7. What images/photos do you need? Once you know roughly what pages you will be creating for your website, you can start planning out the graphics and images that you need. If you need photos of your products, using a professional photographer can make all the difference, as you can see from my DIY efforts vs professional alternative. For quirky graphic inspiration, take a poke around Creative Market. And for a supply of stock photos, my fave place is Deposit Photos. Please don’t just use free images ‘borrowed’ off the Internet. Often this is in breach of copyright. And in any case, why go to all the effort of creating a website for your business, then littering it with samey images that are used all over everybody else’s websites? 8. Do you want to attempt to do this yourself? 1 - They will do a much better job than you. 2 - Your time is valuable, and every minute you spend working on your website, is time away from all the other things you need to be doing to build your business. I’ve seen so many business owners get stuck at this point. They invest hours and hours creating a website, but it doesn’t look how they imagined, so they don’t want to publish it. And yet, they’ve sunk so much time and energy into creating it, they don’t want to admit defeat and call someone in. Ask friends for recommendations, or take a look at Amber Phillips Design. If you are determined to go solo, this website builder comparsion will help. 9. When do you need it by? Every project needs a deadline. That deadline should not be ‘ASAP’ or ‘whenever’. b) What you need to be providing them with (words, images, answers to questions) and when. 10. Who’s going to take care of your new creation? Your website will need updating occasionally. It will need to be kept secure. If you’re unlikely some random will hack into it and cause trouble, and you will need someone tech minded to save you. You may think of something flashy and clever you would like it to do, and you’ll need someone equally flashy and clever to make that happen. So BEFORE you agree on anything, sign any contracts or hand over any money to your website designer, agree on a plan for the future. Even if your web designer doesn’t offer ongoing maintenance packages (although many do), they should be able to tell you what needs to happen for the future care and maintenance of your beloved new business baby. So there you have it. 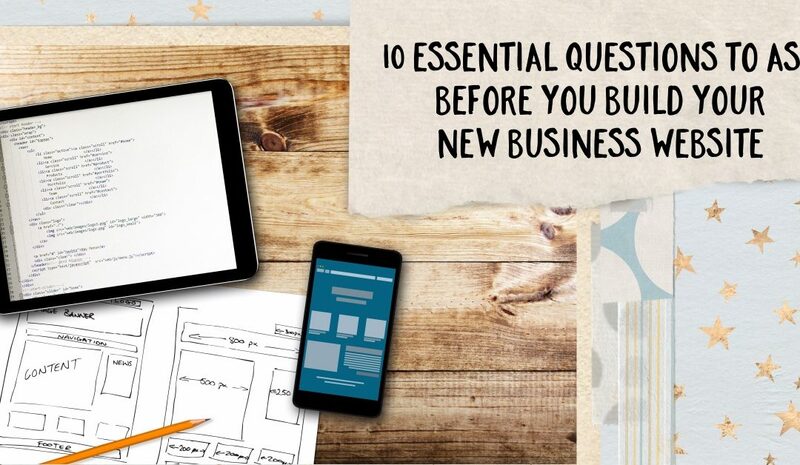 10 essential questions to consider before you start building a new website for your small business. And one last time (because three times in one post isn’t excessive is it?) - here’s the link to my Etsy page for the Ultimate Website Content Planner. N.B. Some of the links in this post are affiliate links. This means that if you buy anything via that link, I may get a thank you commission from the seller, at no extra cost to you.